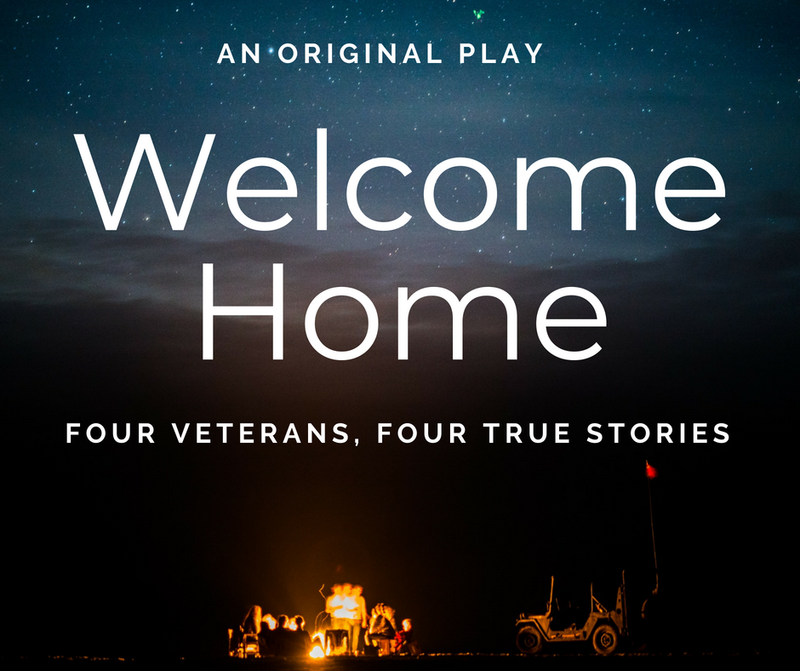 Open auditions for "Welcome Home," an original play, will be held Saturday, Aug. 4, noon-4 p.m., and Sunday, Aug. 5, noon to 2 p.m., at Workshop 13, 13 Church St., Ware, MA. We are casting three male characters, ages 24-60. (The female character has already been cast.) Performances are scheduled for Saturday, Nov. 10, 7:30 p.m., and Sunday, Nov. 11, 2:30 p.m.
After the death of a common friend, four people are brought together one night around a campfire in a small town. As the night goes on, these four begin to share stories and find they have a very common history, all having served in the military. As stories of their past unfold, these four veterans share love, hardships, and trauma and find a deep comfort in each other’s empathy. In this emotional rollercoaster, through laughter and tears, audiences are sure to leave with a new understanding and appreciation for active and retired members of the armed-forces. Adult and traumatic themes. RON (male, 50-60s) is soft spoken, witty and wise-cracking. He is a Vietnam veteran who received 2 Purple Hearts for the 2 times he was injured in combat. TOM (male, 50-60s) is intense and dramatic, a musician who plays the clarinet, recorded an audition while in a bunker which resulted in his acceptance into college for music. He is also a Vietnam veteran and received a Silver Star for his heroism in combat. LIAM (male, 20-30’s) is easy going, ready for a laugh and engaging. He is an Iraq veteran who served in 250 combat missions and has an amazing intuition that saved many lives. SHELLY (female, 30-40’s) is a Gulf War vet. She did not serve in combat, but suffered Military Sexual Trauma. She rarely shares this. She is generally self-assured and knowledgeable.